An alert mashgiach prevented the sale of lamb fat suspected of being treif to a meat processing factory. Fraudulent shipping manifests and documents accompanied the non-kosher lamb fat, but the mashgiach’s keen eye detected what was taking place. The paperwork stated the item was under the kosher supervision of the Tel Aviv – Jaffa Rabbinate, with the perpetrators using a stolen book of shipping manifests, taken from the Carmel Shuk. The investigators learned that Yitzchak Meir, who answers to the cellular telephone 054-734-9374 is marketing meat products under the name Meir Poultry Distributors (10 Savion Street in Ohr Yehuda). He uses shipping manifests labeled Chicken Distributors (5 Ta’asiya Street, Rechovot Industrial Area), with the latter stating kosher under the Tel Aviv Rabbinate, the stolen book of forms referred to earlier in the article. In the northern area, inspectors found items sold under the company name listed originate from a roasting house (like those used to prepare seeds and nuts) run under the name William & Eli Arshid (04-998-4064). 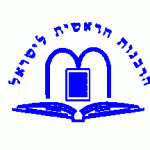 The items are marked “kosher mehadrin under the supervision of Rabbi Chaim Navon, Moshav Shazor”. Yisraeli olive oil from the Glili oil press and the Katit M’eule olive oil in Kfar Asli are both marked Kosher for Passover, Badatz Yoreh Deah (Rabbi Shlomo Machpud) and the Chief Rabbinate National Kashrut Division. In addition, Shemen Devira olive oil, 1 liter bottles, marked Kosher Chug Chatam Sofer Bnei Brak and Chief Rabbinate National Kashrut Division. The only bottles of this product permitted for use in kosher establishments are those bearing the kosher certification from Badatz Beit Yosef and the import permit from the Chief Rabbinate of Israel. It bears the code L010311038, the only acceptable code number. 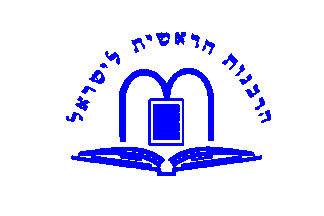 The branch at Bialik Junction near BiG ShuferSal (Shaare Hadera) has lost its kashrut from the Hadera Rabbinate due to kashrut violations. The kosher supervision for Halul Restaurant in Herzliya was not renewed due to kashrut deficiencies. It is located on Misadat Halul Street. Pizza Maestro, located at 10 Ben-Srok Street, also in Herzliya, lost its supervision too, yet continues to advertise as kosher. The bakery is located in the city’s industrial area and it continues operating for over the past year without kosher supervision from the local rabbinate. Nevertheless, the bakery continues selling its goods, labeled as “kosher” in defiance of the law. The Binyamina – Givat Olga Rabbanut announces it has removed the kosher certification from this business upon the owner’s request and therefore, no longer bears responsibility for the kashrut of the products. The Tel Aviv Rabbinate announces the business no longer has its supervision. It is located at 18 Shalavim Street in Tel Aviv. The above-named vodka is approved for import by the Chief Rabbinate, manufactured by the Luctor Company, in Orlando, USA. The ultra-premium vodka is manufactured by Dirkzwager in Holland. It states kosher under the supervision of the Holland Rabbinate and the Chief Rabbinate approval for import. This kosher certification is for the following flavors – mint, pineapple, melon, blueberry, double espresso, espresso, pomegranate, orange, mango, coffee 19/90 XXO, banana, caramel and blue. Only this brand, from this importer, bearing the required labels is permitted and unauthorized liqueurs/whiskies are not permitted due to kashrut concerns. Posted on July 6, 2010 by JKN Israel. This entry was posted in 5770 - 2009/2010, Chief Rabbinate Updates. Bookmark the permalink.